There are few things more enjoyable in this world than RuPaul Charles batting away inane questions from well-intentioned reporters and this Hollywood Reporter interview certainly does not disappoint in that arena. Though RuPaul’s Drag Race has been on the air since 2009, it took Emmy voters almost seven years to recognize its brilliance. 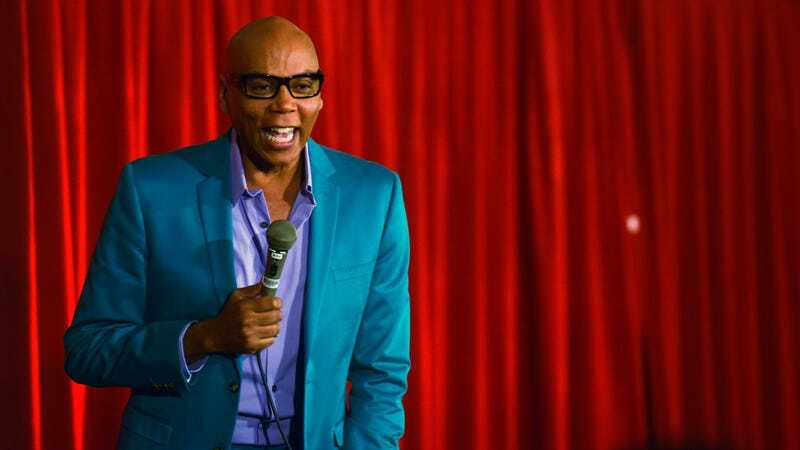 Last year, RuPaul was nominated for Best Reality Host and won; this year, Drag Race was nominated for eight Emmys in total including Outstanding Reality Competition Program and Outstanding Host for a Reality Competition Program. This is occasion enough to speak to RuPaul, though I’d argue that these Emmy nominations are long overdue and one doesn’t really need a peg to chat with Ru, only because his advice and wisdom is timeless. I don’t think it happened because of Barack Obama. I think we were both a result of a sea change — these winds of change that happen naturally on this planet. We live on a planet of polar opposites: black, white, male, female, gay, straight. So the pendulum swings. It swings. How does the game change with so many competitors now coming out as transgender? It doesn’t change it at all. That has always been an element of my drag experience and of working at clubs. There were always transgender drag queens in the drag world. Always. So it’s not seen as giving them a leg up on the competition — say, if they are working with natural breasts or something like that? The criteria for our show are charisma, uniqueness, nerve and talent. However you can bring that, you’re in. Would you accept a female-to-male transgender competitor? Drag is about irony and making fun of identity. It’s like the shaman and the witch doctor and the court jester. It’s really about reminding culture not to take itself so seriously. When you get into a woman going back to being a man, or however you put it, it gets a little convoluted there. You can read the full interview over at The Hollywood Reporter.